Shortly after 8 a.m. officers and firefighters were dispatched to the rollover on Red Hills Parkway at the Bluff Street-Snow Canyon Parkway intersection, St. George Police Sgt. Spencer Holmes said. 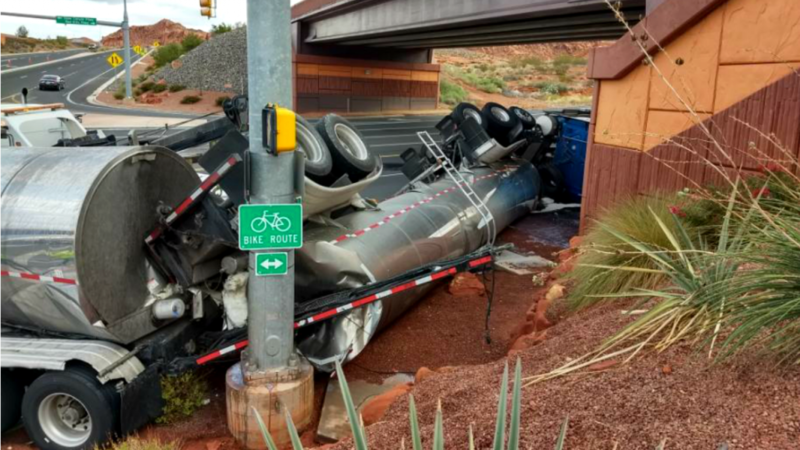 Upon arrival, responders found the semi on its side with both tankers resting on a traffic control light and partially blocking four lanes in the intersection, with milk spilling from the front tanker. The driver was uninjured. 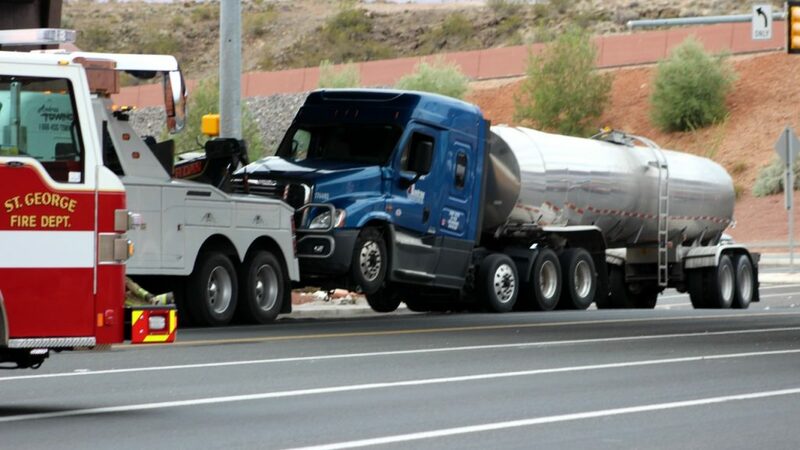 Firefighters stabilized both tanks to prevent further breakage while heavy wreckers began the process of pulling the double tanker to an upright position, which took more than two hours to complete. At the time of the crash, the semi was southbound on Bluff Street approaching the intersection when the driver started into a left turn to head east on Red Hills Parkway. As the truck accelerated slightly into the turn, the liquid gained momentum as it sloshed around in the tank and then flowed forward, Holmes said, causing the load to become more unbalanced and out of control as the weight shifted towards the front of the tanks and put pressure on the cab. 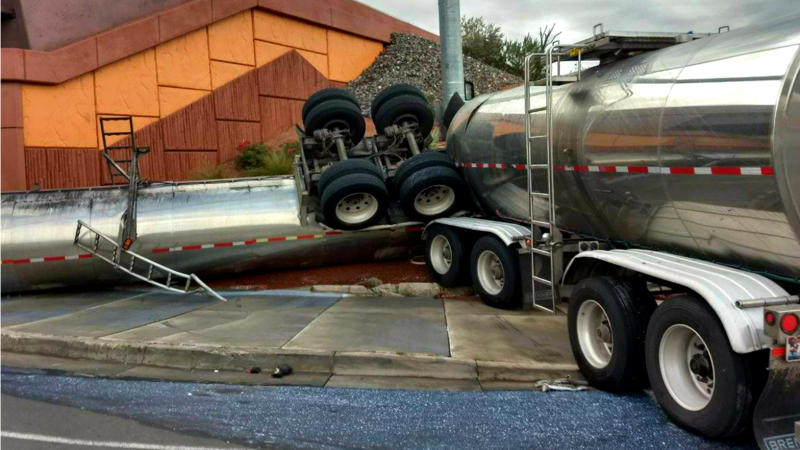 As the truck leaned into the turn, the liquid shifted in the same direction and then sloshed violently back the other way, causing the load to become even more unbalanced, which tipped both tankers over. 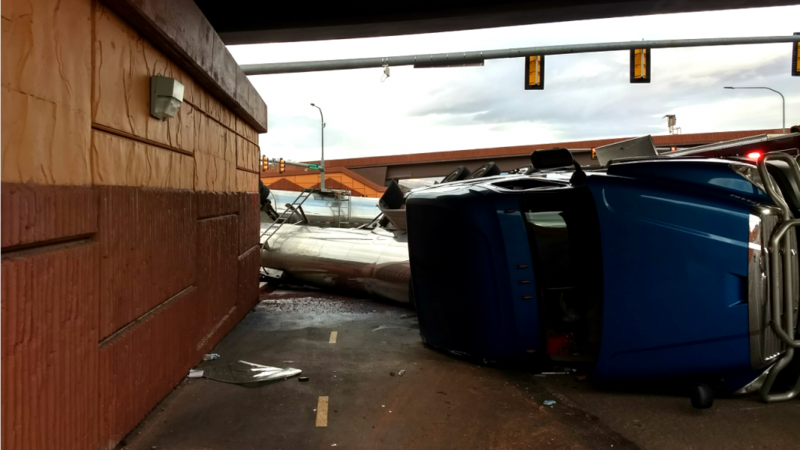 The tankers crashed into the large pole supporting the intersection’s traffic control device, and the cab went over onto its side, popping out one of its windows. 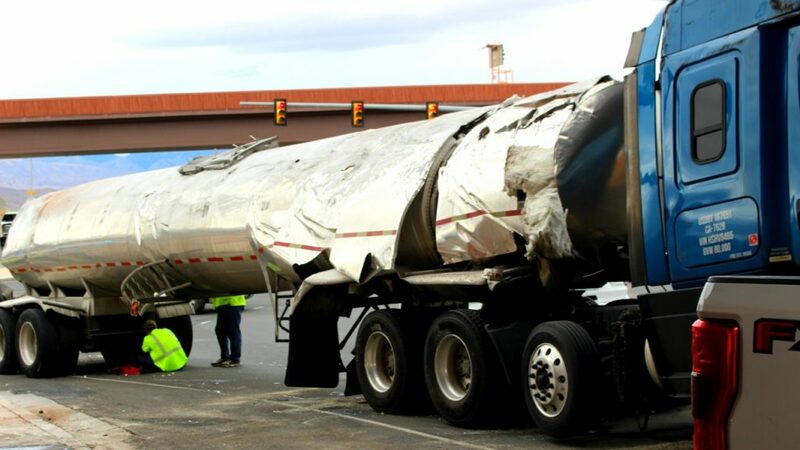 At the same time, the internal pressure inside of the tankers caused the hull of the first tanker to “shrink like a coke can,” Holmes said, which breached the hull and sent more than 6,300 gallons of milk flowing down Bluff Street. 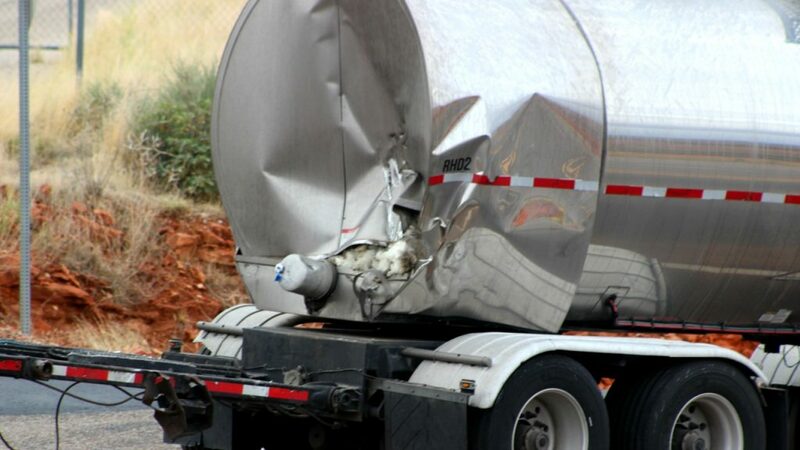 The rear tanker was damaged but remained sealed. The driver was able to crawl out of the cab through the open space created when the window popped out. 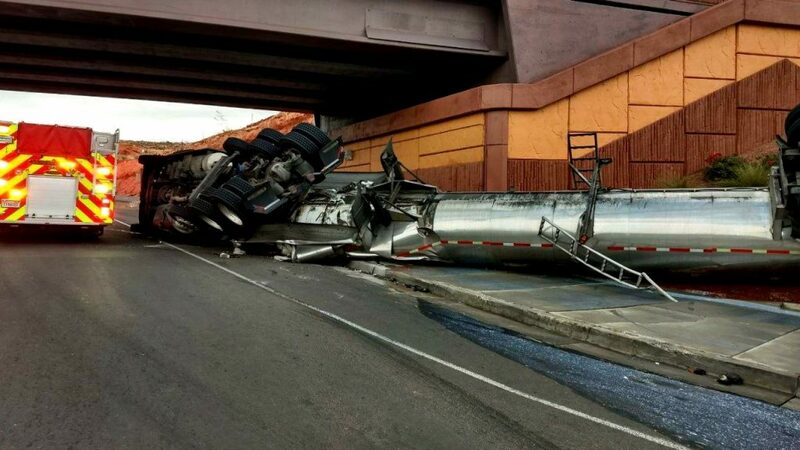 “The driver wasn’t going fast, he wasn’t reckless, but when he made that dramatic left turn, the weight of the milk in both tankers came forward and became unbalanced,” Holmes said. Holmes explained that the design of a milk tanker is simple and fragile for cleaning purposes. To prevent growth of bacteria inside the tank, the inside is smooth and has no crevices or areas where germs can grow unnoticed, but the design can add to the instability of loads. 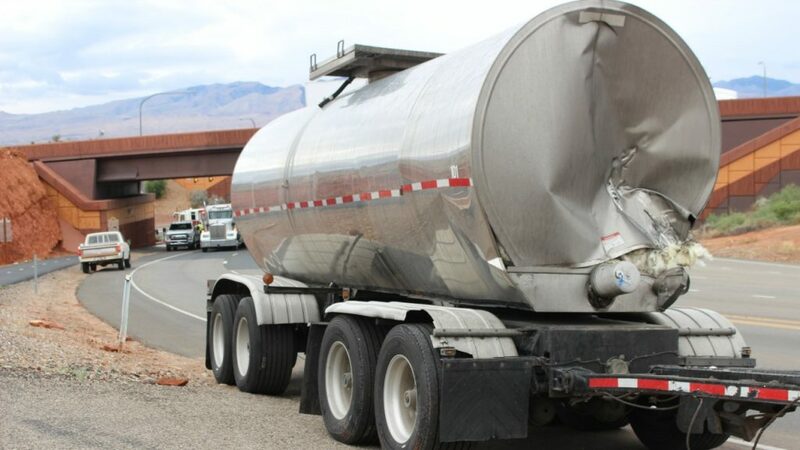 Further, it is impossible to completely stabilize a liquid load, Holmes said, making tankers more prone to having balance issues that can lead to rollovers since liquid is always in motion and is stored in a tank that is also in motion, creating even more movement. 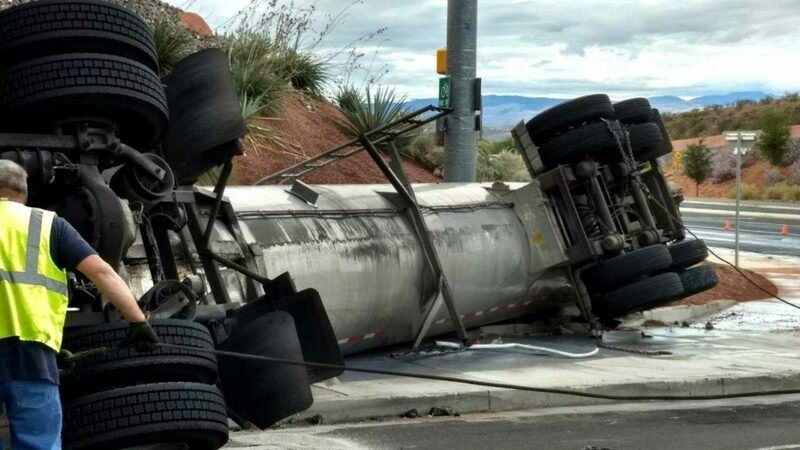 Utah Department of Transportation’s Incident Management Team responded to assist with the cleanup and to assess the damage to the traffic light pole and the concrete around it. A curb was also extensively damaged when the tanker landed on it. 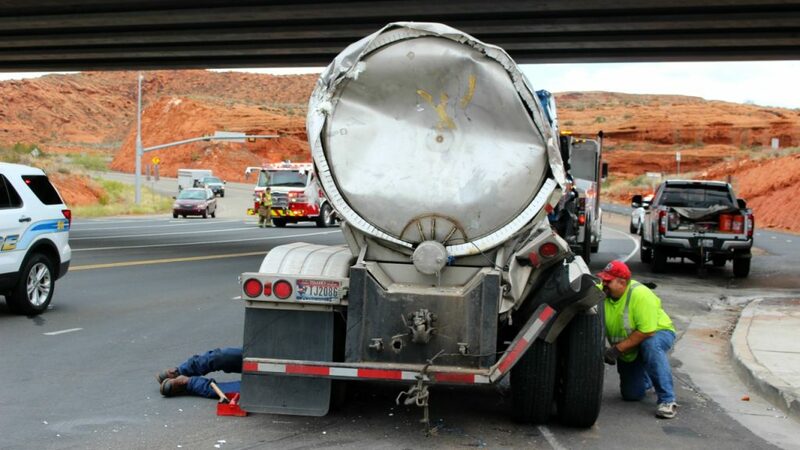 The St. George Police Department responded with multiple officers, assisted by the St. George Fire Department and UDOT. This article spells out one of the major problems with driving in Dixie. But when law enforcement cannot recognize a driving problem when they see it…No wonder people drive like nuts here. Driver was one lucky rookie. Hope he can find another driving job, and has learned a bit from this experience. Good thing it was cold today, I cruised up for one of those rare Bluff Street Milk Shakes. LMAO ! I can’t believe they blamed this on the MILK !!! 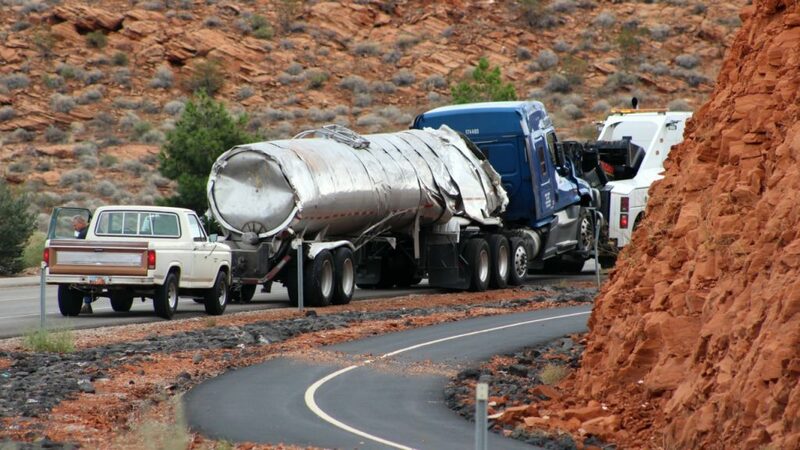 Tankers hauling liquid are (or should be) baffled to prevent this. Also, regardless of the “milk on the run” excuse, the driver is at fault, excess speed for the conditions.